Attach source (.max,.mb, .blender etc) and fbx assets having the problem (in a .zip) - If the assets max out our attachment file size limit, you can upload a .zip to the Unreal Engine Wiki and include a link to the page. We know the asset sharing solution here is a bit clunky, and are working on getting a better solution in place. For the time being, please send us your assets through this method as we wanted to get ahold of whatever we could to get a better idea on specifics of how and where the importer needs most improvement. Terrain looks ok in Max (is unwrapped/UV, but textures gets flipped after import. The FBX looks perfect when imported to Simlab/Unity etc so mapping should be ok.
Hey Atle, just an update, I managed to repro this with your asset and it has now been fixed internally. Once it is tested and ready to go, it will be pushed out to the public. Thanks! Great news :) The UE4 pipeline is very fast/simple already, but this makes it stellar. I modelled this inside of a freight elevator yesterday (there are other pieces like truss supports and two gates attached at the exit door that work fine). The import process takes forever (it's not like UE4 freezes or something, it's completely functional according to the task manager). When I import it, the progress bar just moves there endlessly. It seems that the polycount is causing this problem, because when I delete some parts, the mesh imports normally. That is why the truss supports and the two gates I modelled separately in the original modo scene file imported nicely, as they had really only a few polygons. Is it possible to fix this behaviour with the Blender FBX exporter 7.4, when i import as a rigid mesh, it imports all the objects as seperate objects in UE 4, when i export the same File from 3ds Max and import it as rigid Body, it is only one file.... Don't know whats the problem... Importing it with Bones attached as a rigged skellatel mesh works. I'm animating a Mechanical Object so the object animation as rigid mesh is better for me. I double clicked the mesh asset and opened it, but I'm not seeing light mapping details/advanced. Where should I look for it? Ok, so I played around with it and checked the box- Overriden Light Map Res, and checked the box- Use Two Sided Lighting. The black spot is gone. This is freaking awesome. Thanks man. Sorry to not reply sooner. Been working crazy hours. Thanks again. I'm also having an FBX import issue. The initial rigged FBX created with MakeHuman works fine. The same file exported to Blender, posed and then exported to FBX crashes UE every time. Here's a zip file containing the working file (Highlander.fbx), the crashing file (Highlanderpose.fbx) and the log (CelShader.log). Sorry, this file has been removed as the result of a fraudulent DMCA notice. I'll update again later when it has been restored. I'm trying to apply an animation to a model imported from Maya. The import of the T-posed model immediately brings up a bunch of missing bones errors. Because of this, I'm assuming, when I attempt to drop an animation into Unreal and use it on the skeleton, my model becomes a tiny circular blob. 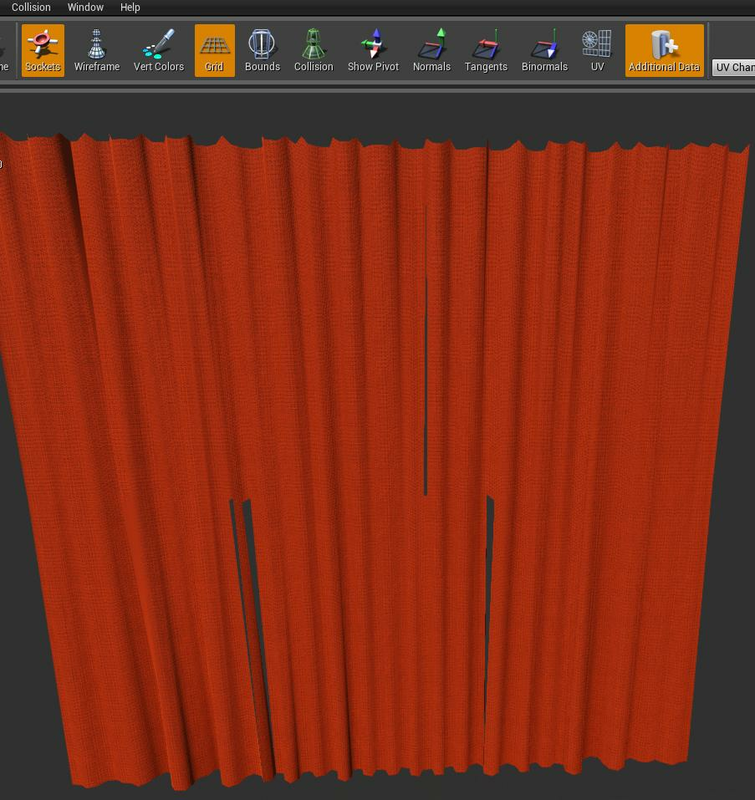 Is there a way I can prep my rig for import into UE4? I'm on mac, so I don't believe I can use that A.R.T. utility. Here are the .mb and .fbx files I'm working with. You're problem appears to be odd scales on the exported file, the joints are scaled down super tiny. I can't see them in the Maya file though - try deleting all the scale tracks? So I just checked my export settings for FBX, it looks like it was set to "Automatic" in Maya (1.0). I have noticed the export appears incredibly small by default in UE. I just set it to centimeters (about 30 for scale factor by comparison), and the problem seems to be gone! Although I still get the all bones missing from bind pose error, the animation correctly displays upon import. Thanks so much for you help, Anadin! Was this the correct way to fix the issue? Certainly sound like it :) cm is the correct sizing for UE4. I use C4D and I get the missing bind pose thing too and its not been a problem for me - I assume it's sometimes a spurious error. My problem is that after importing an fbx the imported mesh has unfilled faces. I checked the fbx with autodesk's fbx viewer, and the mesh looks good in it. FBX attached. Thank you very much! The normals looks fine, no flipping. But triangulating the mesh manually before the fbx export solved the problem, everything looks perfect in UE4 :). Many thanks for your help Anadin! Hello, I exported this fbx file from blender and there are Japanese characters in the name of bones. When I tried to import it to UE4, those none English characters become '??????' and the Engine gives out an error like this and import ends up failed. I've noticed some strange behavior with the static mesh import in the lastest version of the engine. 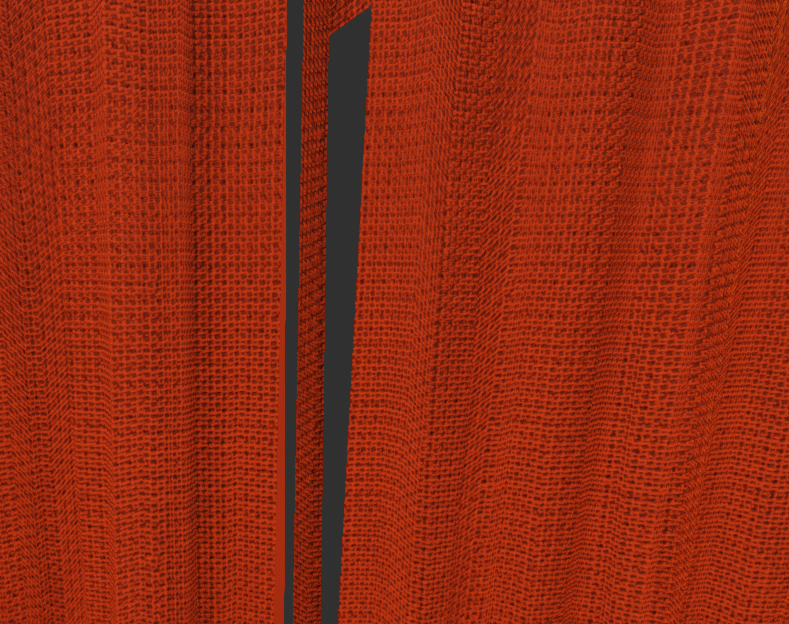 It seems that the engine split all vertices during the mesh import (same goes for LOD Levels). Before updating to 4.4.2 a rock 308 verts/ 612 triangles in Maya 2015 had the same amount of faces and vertices in the Unreal Engine. Now after the update the same rock has 308 verts/ 612 triangles in Maya, but 1742 verts / 612 triangles in Unreal..
That sounds like Epic fixed the count in UE. you should expect to see a 1.5 to 2.7x increase in verts from Maya/C4D/Modo etc. to the realtime count due to hard edges, UV breaks etc. are you UV's unwrapped like a light map UV? The UV's are unwrapped, but we use only a single channel since the game is an open world RPG with fully dynamic lighting in the exterior world. Those mossy rocks will not be used in interior cave levels. ok, but what is the advantage of having such a high amount of vertices? Will it have influence on the performace? What was wrong with the vertex count the meshes used before the latest engine update? Like I say, I would think it's possible that its just more accurately reporting now, BUT that does seem high. 308 verts * 2.7 would only be 831. It's more a problem that normally DCC apps don't report the real number of verts used. If you have a cube (12 verts) at best it will be 18 I think due to UV breaks and thats only if you have smooth edges, if you break all the edges to make it look like a cube it ends up being 24+ depending on UV breaks. Each break for smoothing and or UV's doubles the vert count of the attached edges. So while I think you should see an increase in the vert count (to show the real cost of the verst in realtime rendering) I do agree with your point that 308 to 1742 is a bit high. The only way I could see that happening is if every edge was hard and all the faces where their own UV islands. Thanks for your reply, Anadin. I've reimported the exported fbx again in Maya in it has again it's 308 verts. The only hard edges are the border edge of the UV islands. The texture itself is seamless painted in Mudbox. Thanks,I'll look if Maya has some sort of output for realtime stats. How will the higher amount of vertices influence the performance? Are they used for rendering only once when the scene loaded or are they rendered every frame? actually I think about going back to 4.4.0 and not making updates for a while since it is a huge difference in having 308 verts as before or havin over 1700 verts now. I'm curious if the amount of generated vertices was the same earlier, but it simply wasn't displayed properly or if there are actually more vertices generate now. We are actually pretty nervous about that point, since in a open worlds environment performance is always some sort of bottleneck, esspecially in dense forests and environments like that...I doubt we can't afford such a giant increase of verts. Yes, at the moment no smooth LOD blending is integrated but I will follow (I hope so). Was that in the static mesh editor or in the viewport - you sure you weren't seeing LOD0+LOD1 count? It was in the Static Mesh Editor. I also thought it could be the amount of both, therefore I've imported LOD1 in a clean test project as LOD0 mesh and it had the same amount in the static mesh editor as it had as LOD1 in the actual game. btw. I've made a test with 3 versions of a cube.All 3 versions had 24 verts, no matter if the edges where hard or smooth or if the UV Layout was teared apart. OK I did it an all of my cubes got 24 triangles when I use 'stat engine' and drag one in at a time into the viewport, I can't find a vert count stat though. It seems to work again. I recompiled the source code over night and now the vertcount seems to be normal again when importing. The LOD1 mesh (200 verts in Maya) now has 269 vertices in UE4 instead of 1200 yesterday and LOD 0 has 469 verts (308 in Maya) instead of 1742 yesterday. I have no idea what caused all that trouble, but at least if seems fixed for now. yay! glad you got to the bottom of that one, was a that 4.4 or 4.5 code? (I noticed this thread after posting: https://answers.unrealengine.com/questions/99529/visual-defects-on-imported-models.html ) Apologies. BTW, we are using only dynamic lighting so we don't have a 2nd UV map for lighting. This is a shot from 4.4.2 on Mac, using the files just downloaded, I also ran it through C4D and exported all worked fine for me. which version of UE/FBX are using? Version 4.6.1 crashes while importing FBX (at 50%). Other - Please post a new Question if you are still experiencing FBX Import Issues. We created this post to test certain Blender and FBX Importing Issues earlier an the Engine's Life. We have rectified most of these Import Errors. We are Closing and marking this question answered merely for clarity. If you have an issue with FBX Import, please search AnswerHub for any earlier reports and if you cannot find any or it is only in this post, please create a new Question and we will get to you as soon as possible. Thank You Everyone who worked with us on this question and provided assets which helped us improve the Engine immensely. For more compatibility with other DCC apps, it would be much better if UE found lodGROUP1, lodGROUP2 as parent objects or even easier, add support for _LOD0, _LOD1, _LOD2 etc. UE could do its combiner magic on each LOD and assign the correct objects to the right LOD slot. PS this is how it works in Unity, its a very convenient way of doing things. Indeed, the Unity way is very easy and fully automatic. Also, the compatibility with it would be awesome. I could convert all my assets in no time from one side to another! There is no standard for colliders perhaps, but still it could be a great help for artists. I agree. It would make it a lot easier to bring lods out of Blender. The current exporter from Blender has a few issues, notably with tangent mapping and correctly writing out scale and orientation. Materials are also not entirely supported I think. It's workable, and I think most of the issues are with the exporter side of things. Autodesk has an SDK with python bindings (Blender's addons are written in python) for .fbx so I am hoping someone in the open source community implements and exporter with this at some point. The Blender internal game engine is pivoting away from being a true game engine, so I think there will be a lot of potential users for Unreal if we end up with really good .fbx exporter support. There is a Blender developer who's working on these issues. You can download the most current fbx exporter Add-on (still WIP) *here*. It supports tangent export, as well as scaling on export. Thanks for the reply! I did notice that this version fixed some of the issues just like you say. Hi My FBX problem is to do with Cinema 4D - UE 4.1 is flipping Y-Up to Z-Up perfectly and its working for animations etc. BUT meshes are coming in Y-Forward when ideally they would be X-Forward/Y-Right. I totally have this issue too. Can we have an option in the importer to add a global rotation to the mesh around the X, Y and Z axis? This would solve this issue. Thank you for your patience. We are working on a universal fix for these types of import rotation issues. Once we have more done with this, we will let everyone know. I tried attaching a .fbx file (in the end used the useful text out of it in the post itself since it was only two lines) and the site says that .fbx isn't a permitted filetype for uploading. I've been testing importing basic (cubes etc.) models from Modo 701 (service pack 5) and while more of an annoyance than a problem there is the small issue that when you import 2013 format .fbx files into the editor it complains that there were no smoothing groups found. The models are actually importing with smooth/hard edges and look just fine both in the perspective viewport and static mesh editor so it would be nice if we could disable this warning in the import options. If you import a 2010 .fbx file it detects that there's smoothing and doesn't display the warning (but does complain that out of date formats may produce bad results). Opening my two exported .fbx (2010/13) files in a text editor shows that the 2010 file is plain text while the 2013 files are now a compiled format. Also I should say that I'm using the Vertex Normal Toolit for Modo which allows you to set soft/hard edges akin to Maya as opposed to using Modos smoothing groups settings (I used to use Maya and this is more preference than anything) and I don't think this makes any difference to the output fbx file but I thought I'd better say this just in case. The other issue that I've had is with LOD importing. Is there any way a naming convention could be set up on the importer so when it detects multiple meshes contained within a .fbx file it can check the name of the mesh to see if it's named LOD1....9999 etc. and know to import it as a LOD mesh accordingly. I was attempting to mimic the instructions for LOD within Maya in Modo however I never suceeded at all. I see that in Maya you create a lod group called lodGroup1, and then you group all your lod meshes under this group. I tried creating a modo group (group locator) naming it lodGroup1 and then putting all my meshes in this one group (and naming them mesh, mesh_1, mesh_2 etc. as the picture of Maya's group structure shows) however on importing this all the models imported on top of each other as one big mess, and choosing to try individual import did work but of course then you have multiple assets clogging up the assset browser. I also tried parenting all lod meshes to the main mesh outside of any groups etc. but this resulted in the same issue as above. Which are the names I set in Modo for the group locator and meshes, so perhaps the importer could be made to look for _1,2,3..... etc. In a 2013 export the only readable bits are the names themselves (eg. cube/cube_1). I've since tried importing fbx containing u*x_ collision models and they work just fine so the importer is detecting mesh names for Modo so perhaps allowing it to detect mesh items labelled lod1_, lod_2 etc. would be the way to go especially since I presume the method will work for every other 3d app out there. Do you still want the .fbx files attached or are you happy enough with just the text and information I posted above? site says that .fbx isn't a permitted filetype for uploading. Thanks for pointing this out, I edited my post. I have a file that I imported into Blender to create a basic animation to test with, then I export it to a FBX. When I import into UE4 I get a 'Could Not Find Needed track (master). Thank you for your report. We are aware of an issue with the Blender animations being exported to UE4 and our developers are working on a solution. I have a few different errors with the fbx importer as i will list them below. Sorry but at this time i cannot publicly share the files or i would gladly do so. For the most part i have imported a ton of scenes with no issues. These are actually huge scenes that have come in with great success. Completely non optimized levels, also full of props with over 880,000 triangles and materials have come in perfectly on several occasions. With that being said i want to let the unreal staff know that the import process has definitely been improved compared to udk and I appreciate that very much. The ability to import a whole scene and test the flow of the map without wasting time on exporting individual parts and re-assembling them inside the engine because there is a vertices limit saves so much time! Thank you for this! Although these huge scenes have been successful some very small ones have thrown some errors and ill list those below. I've rigged my character in 3Ds Max, starting from a Base Human CATRig and I'm receiving an error when importing into UE4: Multiple Roots are found in the bone hierarchy. We only support single root bone. I was able to import it into UE4 by linking the HumanPelvis to the HumanBase directly in the schematic view, though doing this feels like a hack, and Mixamo's tools really don't seem to like it. Additionally, this exact FBX loads fine in UE3. I also stumbled onto another workaround: Import the offending FBX into UDK and re-export it from UDK. This FBX worked for me in UE4. We had a look at your mesh and found that you have 4 root bones listed. The pelvis, 2 feet, and Character001. You have to redo the hierarchy to one root bone. However there are still several other issues you will have to address after this is accomplished. re-establishing the hierarchy will at least allow you to import to UE4, however. I hope this helps! Any idea why importing into UDK is successful and why UDK's export of the same model works fine in UE4? It would be nice to have UE4 make that same conversion to allow for the default 3Ds Max CATRig. I am looking into issues with the importer. Thank you for reporting this change from UE3 to UE4. I am glad that you have found a work-around, but I have also reported this to our developers so that it can be fixed. To answer this question. UE3 had a tool to auto-fix the hierarchy for the model. When you exported from UDK, it kept the fixed (one root) hierarchy, allowing it to be imported in UE4. As an update, out lead importing programmer has prioritized this issue. Good afternoon. I have exactly the same problem, but not in CAT rigging and simple bones. In schematic view hierarchy is built so that all attached to one Root bone, but at UDK when importing still write error "Multiple roots found "
Can you provide a test asset for me? I can then use it with our fix and see if it resolves the issue. Then you can know that it will be fixed in an update. I get a similar thing with Modo. I had created a cube and put a coloured material on each side and exported it to .fbx. The fbx imported fine (amazed that even the colours came along since they weren't textures). I then added a texture to one face of the cube, editing the fbx itself directly in Modo (because I hadn't noticed Modo had switch to the fbx file). I then tried importing this file and UE4 crashed as long as import materials was checked. If it was unchecked then the textures came in without issue, but of course no materials were created by UE4. After realising what I'd done I modified the materials/textures directly in the modo scene file and exported out to a new .fbx file and imported that (with import materials checked) into UE4 and it was perfectly happy with it and created the materials and imported the textures without issue. Have you imported from Blender before just as a static Mesh? If so start with that first. From what I know about armatures in Blender I'd import the character using FBX remembering to scale the scene by 100. also set the batch mod to scene and check selected objects. I am assuming and I don't know because I have not attempted to do this but can you not save your animation as a bvh file and UDK will import that as an armature? If would be two separate imports would it not? Remember to put your pivot point at the base of the feet with everything centered on the XYZ or the rotation will be all messed up. I was reading yesterday that edge split modifier should be applied and applying modifiers on export should be enabled. You'll get texture and material errors as well as FBX being too old but the model should import and you can reapply textures from UDK 4. Hello, sorry for the wait. I just wanted to let you know that the BIND POSES error is a known issue that is being worked on. Hello, I am trying to import 3d objects from Zbrush to 3ds max 2011 and into Unreal Engine4. I am able to get my mesh into 3ds max 2011 but I am not sure how to go about updating my FBX exporter from 2011 to 2014. I am given the link from Autodesk: http://usa.autodesk.com/adsk/servlet/pc/item?siteID=123112&id=10775847 but they don't have any 2011 copies. I've exported the mesh from Maya with smoothing groups, tangents and bi-normals and triangulate checked. Overlapping UV's are corrected in your modelling application. In Maya you can open up the UV Texture Editor and correct any issues manually. First toggle UV shaded display and you can see where any overlaps that are occurring by the color that the faces show up as. It should be noted that I believe static meshes have been setup so that they expect no mirroring (due to lightmaps) and that if you have mirroring on your static mesh you could try creating another UV set without mirroring and set that one to be used for lightmaps but i have yet to have a look into how this is done.